The Kafue National Park is a vast, unfenced wilderness. During your stay you are unlikely to see many other people or vehicles which gives a sensation of having a private safari. Animal sightings, although common, can be more elusive than in other more commercialized parks, but this makes your sightings all the more special. Kafue National Park is the oldest and largest of Zambia’s National Parks covering an area roughly the size of Wales, UK. In fact, Kafue National Park is one of the largest in Africa. It is also easily accessible by road from either Livingstone, home of Victoria Falls, or Lusaka, the capital of Zambia. Despite this, Kafue NP remains relatively untouched, with large unexplored areas of bush. There is a fantastic diversity of wildlife which live in the varied habitats of this vast park. There are 500 species of bird including rollers, bee eaters, eagles, cranes, storks, herons, hornbills, vultures and 20 species of antelope such as puku, impala, roan, reedbuck, and duikers. These antelope are irresistible to the park’s thriving populations of lion, leopard, cheetah, and wild dog. Visitors may also spot more elusive mammals such as a genet, serval or honey badger. Flowing right through the park is the mighty Kafue River, a major tributary to the Zambezi River. The river offers as much diversity as the park with fast flowing rapids, and slow, rocky sections with sandy banks. 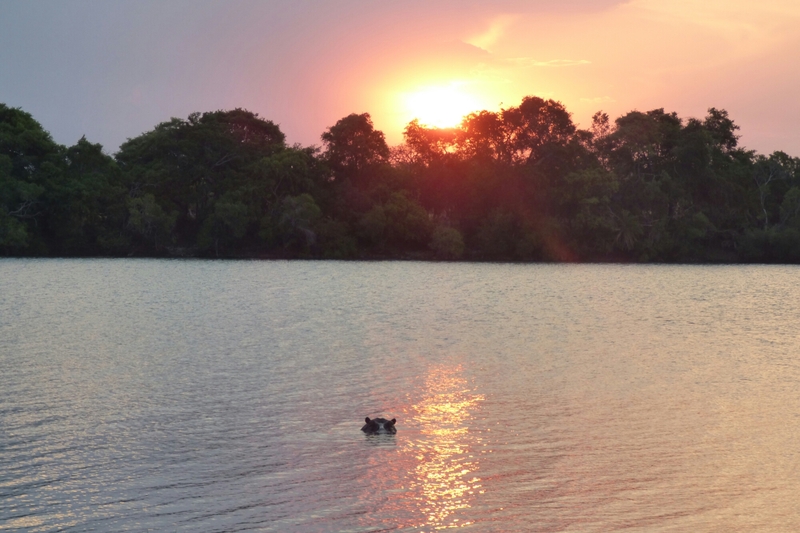 The river is teeming with wildlife, especially hippos and crocodiles. Fish eagles are a common sight, as are kingfishers and herons. One of our favourite things about Kafue National Park is the sense of exclusivity and adventure that comes from driving around for hours without seeing another car, let alone the traffic jams that can build up in some of the better known safari destinations.